1.400 miles (2.200 km) from each other. But still we have to communicate all the time. There are many great tools out there which help people to communicate online. In this post I want to talk to you about one of the newest tools – Google Hangouts. Hangouts is Google’s own cloud messaging system, which is integrated across all Google services and different platforms. 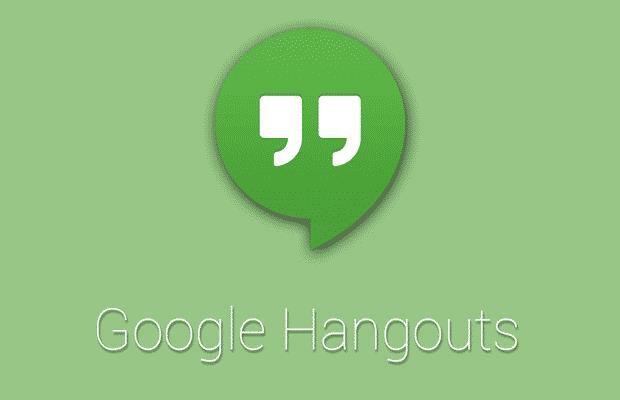 To put it simply – Google Hangouts is a chat application with video call functionality and many other features. To give you a clearer picture: We have tested and used Hangouts on our Android phones, iOS devices, Macs and Windows machines. 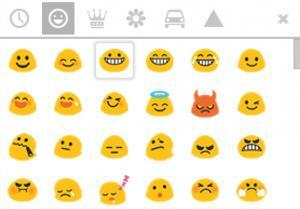 Introducing the new Hangouts, Google has successfully unified all of its previous messaging systems. “One chat to rule them all” so to speak. New Hangouts comes to replace Google’s legacy messaging services like Google Talk, Voice, Messenger and the “old” Hangouts. Let’s look at what the new Google Hangouts has to offer. Being a replacement for Google’s previous messaging apps, Hangouts combines everything into one single service, available on many different platforms. On Windows and Mac computers the app works as a Google Chrome plugin. The good thing about having just one service is that you can now keep everything synchronized. So, with the new Hangouts you have all your communication, chats and everything else constantly synced across all your devices. For instance, if you dismiss a notification on one device, it will be dismissed on other devices as well. If you don’t want to be disturbed for a certain amount of time you can “Snooze” your notifications, disabling all Hangouts notifications for 1, 8 or 48 hours. If you snooze the notifications on one device, it will sync across all other devices. You can “un-snooze” the notifications any time you want. There was a huge discussion on Google+ about privacy settings. People were getting Hangouts messages from completely random people, which is quite annoying. I know. If you want to control who can and who can’t send you messages, simply change your settings right here. Google’s main competitors, when it comes to messaging and video calls, are Whatsapp, Facebook and Skype. So, how will Google compete with them? 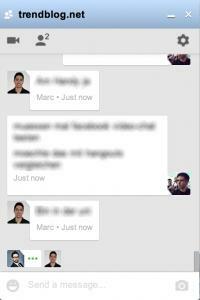 Overall Google Hangouts seems to be working fine. But, as expected from new software, there are some bugs and missing features. On iOS this doesn’t appear to be a big issue because you can “pull up to refresh” the chat and it will automatically pull the chat history onto the device. The function is missing on Android. You will either have to wait for messages to sync or just go with the fact that they simply won’t. One thing we have discovered on Mac OS X is that if you are browsing in Google Chrome and have Hangouts enabled – when you minimize your main window you can’t maximize it again by clicking on the Chrome icon in your dock. This is happening because the system thinks that Chrome is already open and the individual Hangouts are browser windows. When collaborating with colleagues or chatting with friends you might sometimes want to send over some files or photos. 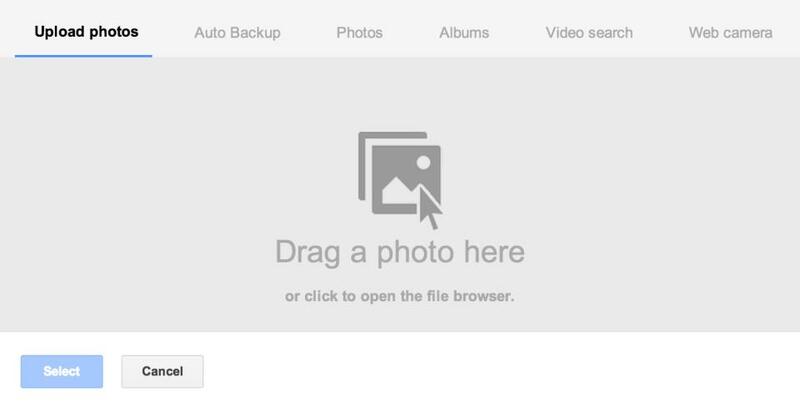 Google Hangouts offers its users the option to transfer photos pretty easily. On desktop computers and laptops, clicking on the camera icon in the bottom-right corner of your chat window will bring up a pop-up, asking you to either drag-and-drop a photo into the pop-up, or choose a different source. To my surprise, Google Hangouts doesn’t offer the option to transfer files to each other (yet?). In spite of having Dropbox, email and other ways to share files, sometimes you just want to quickly send something over. There are still quite a few bugs which have to be fixed. Google simply can’t afford not to. In the long run Google will continue adding features and improve the service.